In Fall 2018, the Wheeler Team conducted extensive Build Empathy Fieldwork to gain clarity on the range of student perspectives on reading. They interviewed students in kindergarten through 5th grade. They shadowed colleagues and observed classroom “morning meetings” to understand student experiences practicing social-emotional skills. Through this Fieldwork, the team found an opportunity to connect these elements—literacy and community-building–to increase student energy and excitement for reading. Principal Manzitto explains that the biggest learning for her team is that the innovation and improvement process should prioritize the perspective of students first and foremost. The Wheeler Team has come to believe that student voice and agency is key to improving student outcomes. The Wheeler Team learned the value of collaborative time dedicated to unrestrained brainstorming. 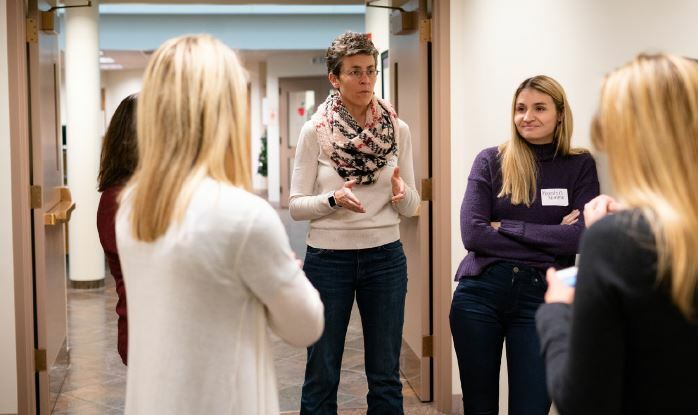 Principal Manzitto now tells her team, “Don’t limit yourself because you think the answer to something would be no.” Reflection and outside-the-box thinking have become mainstays of the Wheeler Team planning sessions. 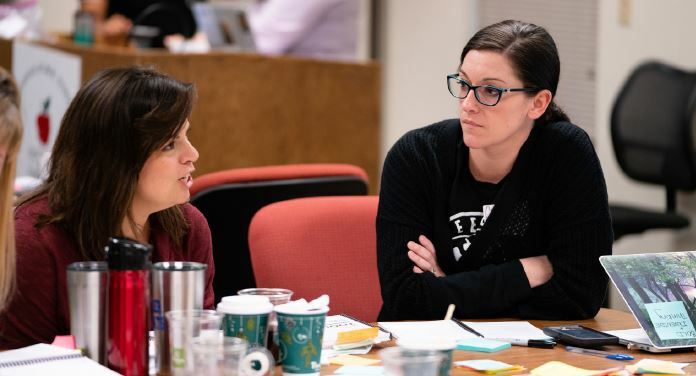 Multiple Wheeler teachers note that their biggest takeaway from the first Studio was the change to practice conversations that question assumptions and push for bolder vision. 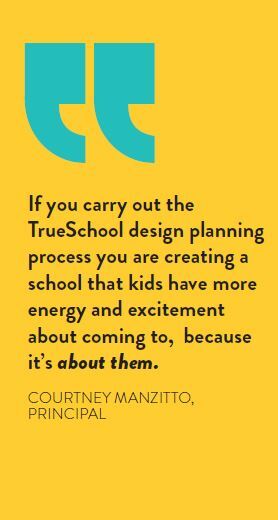 At Wheeler, Design Team members are already thinking about how to carry the TrueSchool Design Process forward into future years. Principal Manzitto explains that the early literacy work with TrueSchool is being implemented in conjunction with a new Language Arts curriculum. She sees the skills her team is learning with TrueSchool this year as essential to honing and increasing the impact of this language art curriculum in future years. Collaborative innovation work is already moving beyond the original Wheeler Design Team. The Design Team is applying the structures and strategies they are learning at Studios to shared work-time for teachers back at the school. They are considering leading a summer learning session, in which the current Design Team mentors teachers from all grade levels in the Design Process. I think increased engagement is important. I think if you feel your voice is heard you can learn something, and when you’re involved in a process and you see parts of your contribution be played out. That’s pretty powerful.